Benetrends Financial organized a presentation for Franchisors on Sept 14 & 15 dedicated to improving sales and recruitment. I tailored my LinkedIn presentation to the Sales Consultants from Benetrends and FranNet, along with Franchisors. The presentation was heavily focussed on social selling and prospecting on LinkedIn. Other speakers that day included Vince Papale, not portrayed by Mark Wahlberg. LinkedIn Presentation for Accounting and Financial Professionals I presented at the IMA New Jersey Council 2015 Spring Conference. The IMA (Institute of Management Accountants), the association of accountants and financial professionals in business, is one of the largest and most respected associations focused exclusively on advancing the management accounting profession. Empowering accountants and financial professionals to drive business performance. 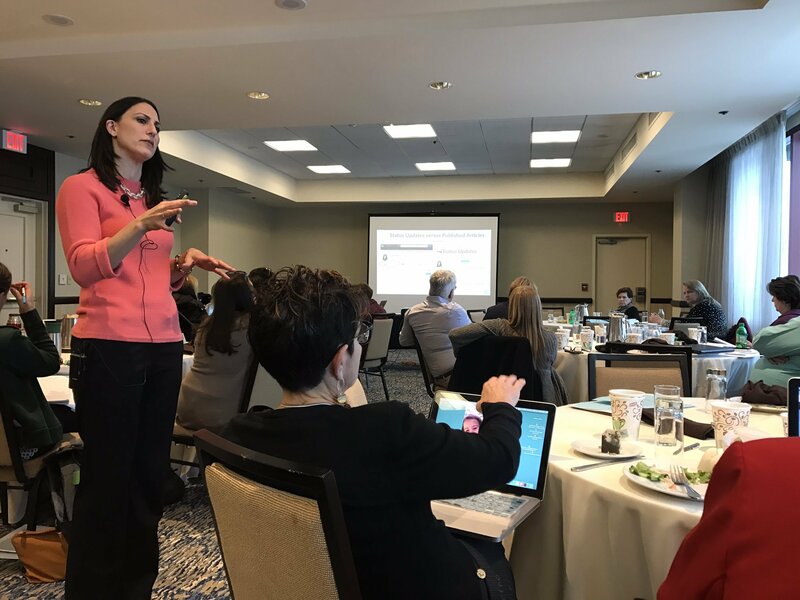 Presenting on the importance of LinkedIn as a business and branding tool to Accounting and Financial Professionals, I provided insight and tips on how to get immediate results from the world's largest professional network. Presenter on LinkedIn & LeadershipThe Main Line Society of Professional Women asked me to present at their Leadership Workshop Series. These workshops bring together award-winning presenters to provide insight into the skills that can make or break your career. People are researching you! Do you know what they are finding? More often than not, they are checking out your LinkedIn profile. Your LinkedIn Profile is your First Impression and Digital Introduction to your prospect. Does it showcase your skills and sell you as a polished professional? Join us on April 10th for a half-day workshop featuring LinkedIn Expert and Author, Donna Serdula. You will learn how to take your LinkedIn profile from Boring to Powerful so you can find business, promote yourself… and take over the world! Work It! is Career Wardrobe’s signature event dedicated to creating a professional identity online and in person. I jumped at the chance to present at the Work It event and share my knowledge of creating a POWERFUL LinkedIn profile with the attendees. I love and support Career Wardrobe's mission: Our mission is to empower women in transition by providing programs that inspire the confidence necessary to achieve self-sufficiency and pursue a productive career. We do this by providing professional work attire, educational programs, and networking tools and opportunities. The audience was great-- lots of energy and interest in the subject. I stayed late to answer questions and make sure everyone felt confident heading back to complete their LinkedIn profile. Thanks for having me! I was invited to speak at Sales Corps' Annual Sales event held in Dallas, TX on November 17, 2014. Sales Corps came together because we recognized the need for organizational synergy to better prepare each affiliated independent manufacturers representative to anticipate and to react to consolidation in all our markets. I customized a presentation all about LinkedIn and Social Selling. I got a call from Neumann University's distinguished Vice President for Academic Affairs, Gerard P. O’Sullivan, Ph.D., asking me to come to his university to prepare students for life after college... specifically the importance of LinkedIn. Helping students is a passion of mine-- I know how woefully unprepared I was back when I left school and I love being able to help students prepare themselves for what awaits once class ends. My stepdaughter, who is a senior in High School, came with me-- Neuman is her first choice in colleges and she was excited to see the campus again and talk to students and teachers alike. It was fantastic talking to such a diverse group of students and professors. They had tons of great questions and kept me on my toes. 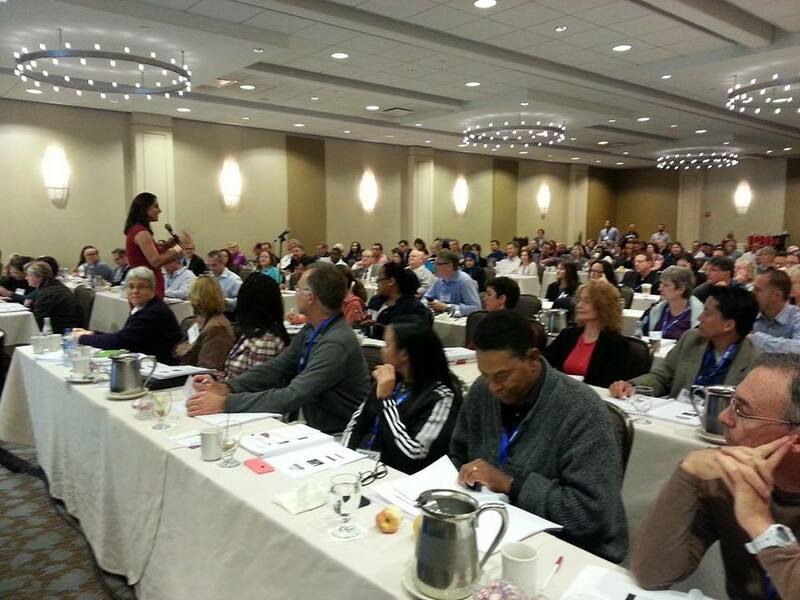 On October 26, I flew to Chicago to present at the SEAK Conference: Non-Clinical Careers for Physicians. SEAK, Inc., founded in 1980, is an ACCME accredited continuing education and publishing firm. SEAK has trained thousands of physicians across the United States. There was a total of 400 attendees and it seemed about all of them showed up to my presentation! I had a great time presenting. The guests asked some great questions. I am so happy to have been invited to speak at this conference. THANK YOU, SEAK!